Experiencing the wonderful scent of continued growth after 23 years. 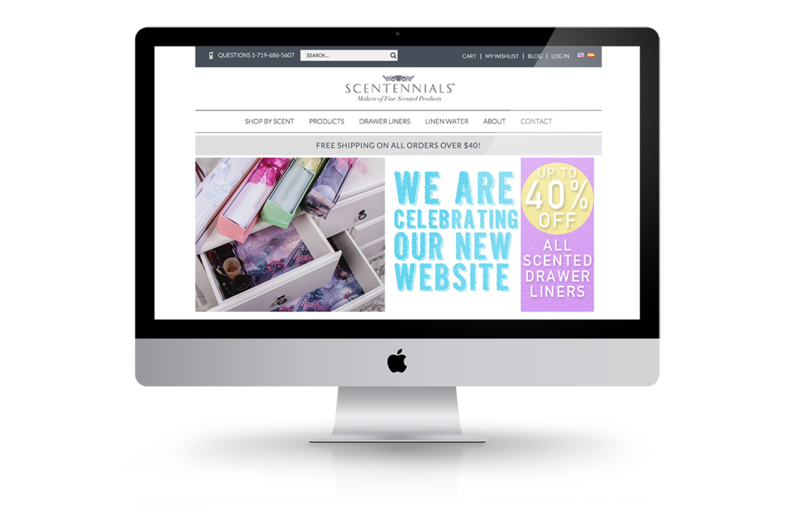 Scentennials knew they wanted to upgrade their online store because they sell their perfumes, sprays and scented drawer liners all over the world. Their online presence became invaluable for customers to view products and learn about the company. We updated their Dealer customer regardless of their device. 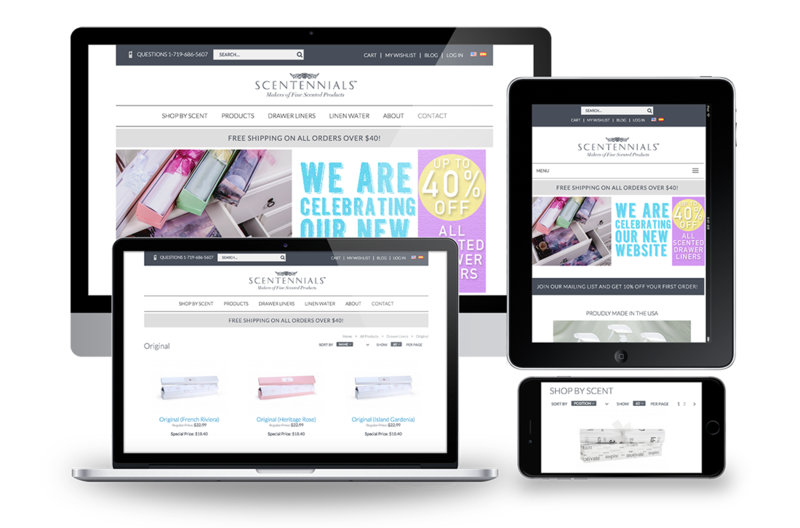 Scentennials came to us ready to upgrade and re-launch their store on Magento 1.9 to help improve their out-of-date site and increase sales. With 23 years of company history, they want to continue expanding their growth online. Scentennials delivers scented products to people all over the world, ranging from perfume and sprays to scented drawer liners. 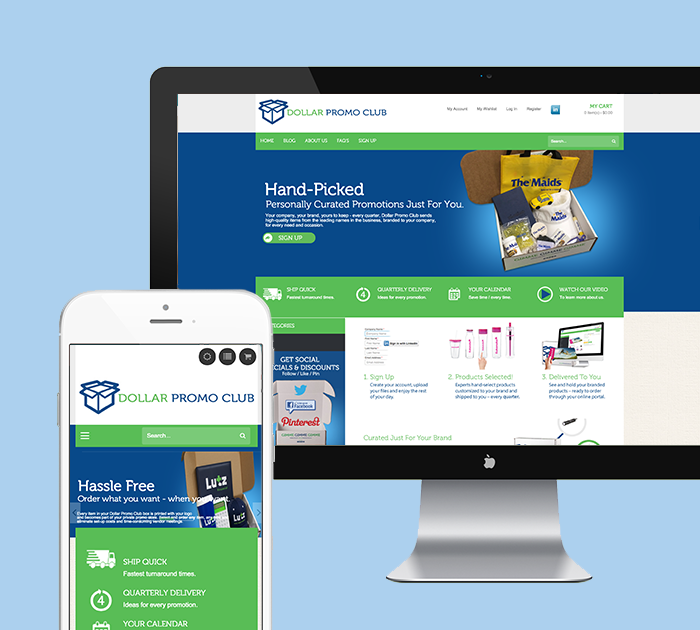 WIth a business like that, customers visit their website to learn more about the company and their products. We worked with Scentennials to update their Dealer Locater, providing customers information on physical locations that carry Scentennials products. To make these products more accessible to each customer, we revamped the homepage design and fixed areas of the site that were not responsive for tablet and mobile. This allows customers to easily access the same information regardless of their device. 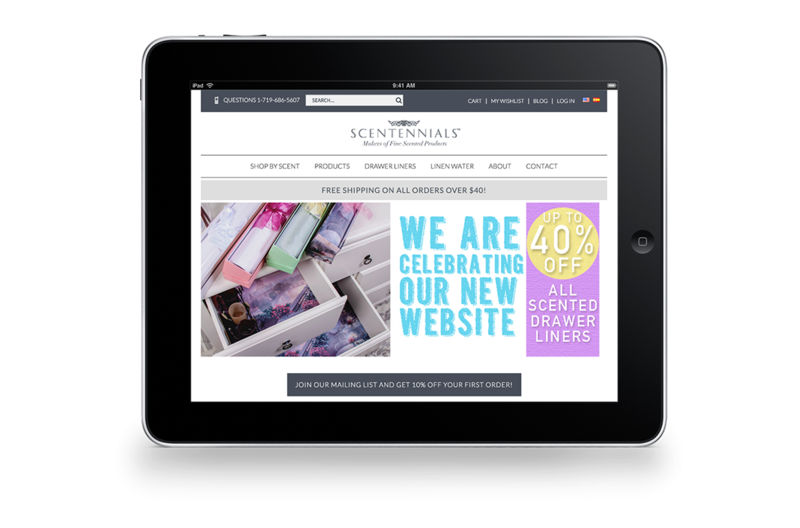 After working with Scentennials and getting the initial updates completed, we looked at the future of their website. They now had a strong Magento site capable of easily delivering their content and to continue building that relationship, we set up a company blog. This content improved their SEO, connected Scentennials with their customers in a new way, and added another layer to their product beyond direct sales. On the backend, we went through and cleaned up all of the local overrides and core hacks, getting their site upgraded to the latest version of Magento and all official security releases applied. For optimum performance and improved page load speed, we also transferred their website to an improved server. To support frequent tailoring of the site for their specific market, we added more options to the Magento admin panel, allowing them advanced control when editing the website. We also added a code repository for improved change tracking and set up a dedicated project management portal for clear communications. Through Engine23’s partnership with Scentennials, we constantly monitor their site and look for ways to continue building their website and growing their customer base. "Engine23 upgraded our website and added new functionality. We now have a much more appealing website that has been optimized for SEO. I would recommend Engine23 to any small business owner." 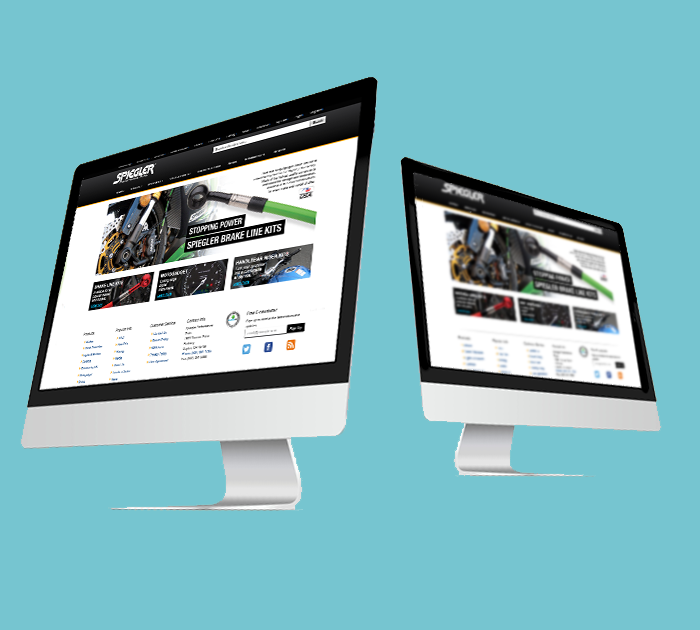 See other ways our team of Magento experts has helped businesses achieve their vision for their website.